Pandora is gorgeous. 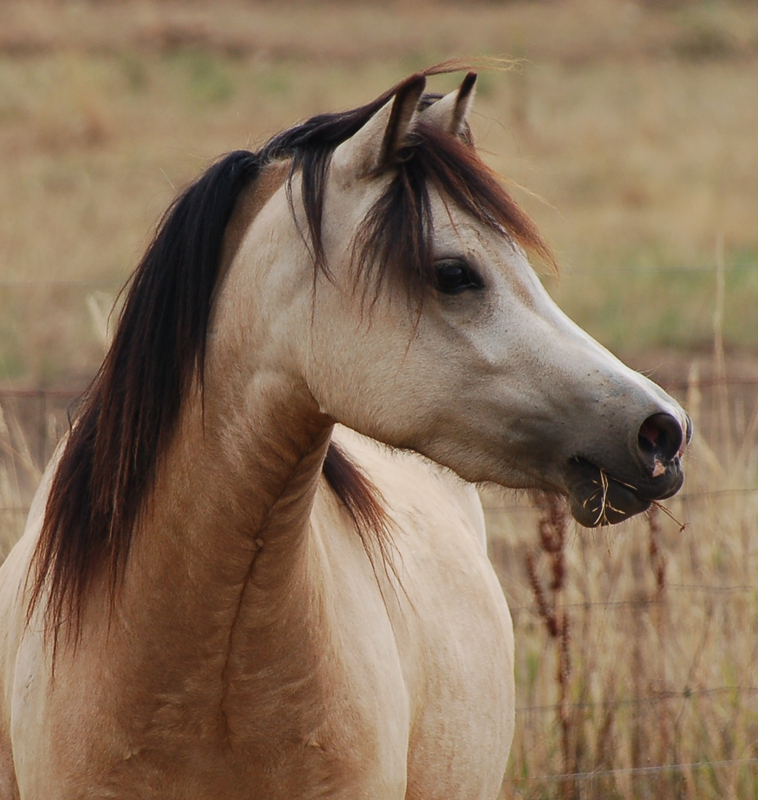 She makes gorgeous babies and has always been an outstanding broodmare. 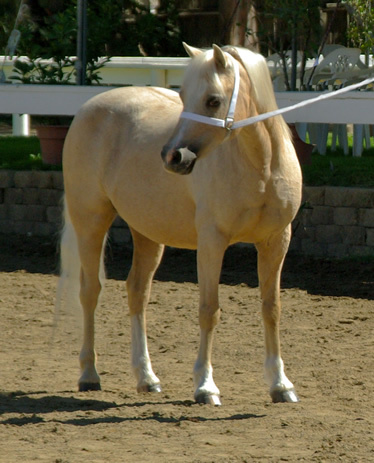 As a young mare she had limited showing but did fairly well, but she really did not like the show ring! 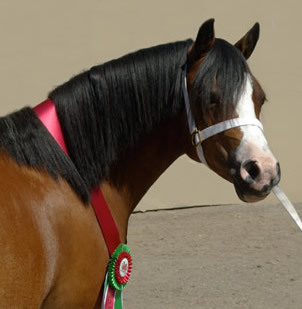 In the past 13 years, she'd only been shown once, in 2005 when she was Champion Mare at the Western National Show. At age 18, we decided to take her out and campaign her in an attempt to secure a third leg for her dam's Legion of Merit. 216 points were needed...Pandora finished the year with 444 and a Reserve National Championship, 2 Supremes, 2 Reserve Supremes, and 5 Grand Championships! OH MY! She loved the ring and showing off! Pandora is regal, opinionated, lovable, and exquisite. 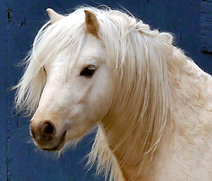 She is the Queen of the Pastures and of my heart. 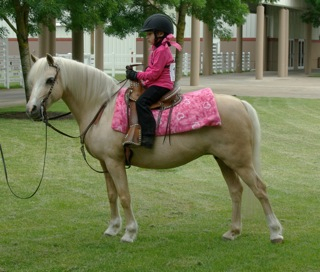 Her accomplishments in the 2010 show season left us amazed, humbled, and so very proud of our little Golden Girl! 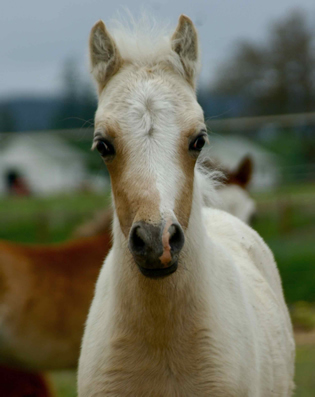 Pandora has produced 9 excellent foals and is now retired from her broodmare duties. 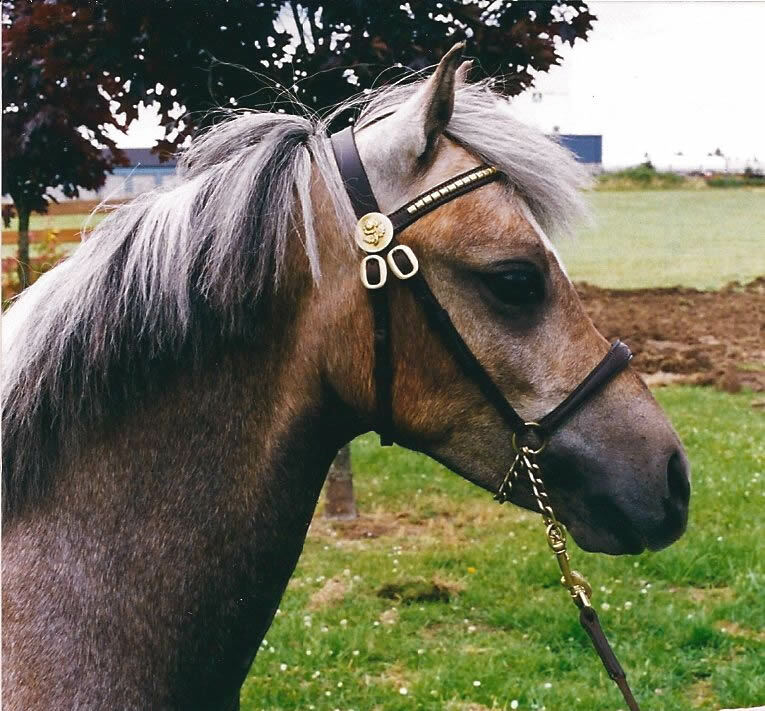 While her duties have been, chiefly, as a broodmare, Pandora is also an excellent Leadline pony! 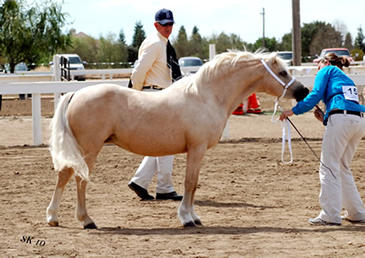 She's provided countless children their first experiences with a Welsh pony and is always a favorite with visitors. Pressed into duty this show season, Pandora capably carried two small riders to good ribbons at the OWPS show and at the American National. LOVE the little girls in purple and pink! Pandora with her favorite handler, Emily Ferris, our two beautiful blondes! 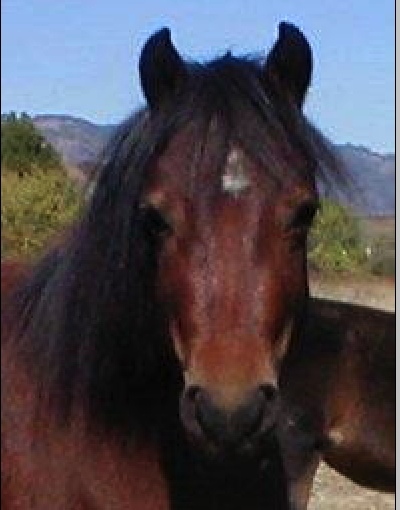 Pandora has been an amazing broodmare. 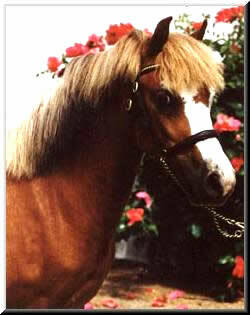 She consistently stamps her foals with Welsh type and beauty, conceives easily and is a wonderful mother. The off-spring that have been shown have all come home with championships to their credit!